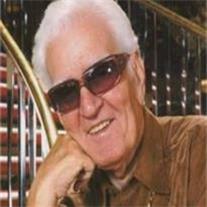 Jack J. Wright, 77, passed away May 25, 2010 in Gilbert, AZ. He was born October 27, 1932 in Weleetka, OK. He is survived by his wife Anabel R. Wright, four daughters and eight grandchildren. Visitation will be Saturday, May 29, 2010 at 9:30 AM followed by funeral services at 11 AM at Bunker’s Garden Chapel, 33 N. Centennial Way in Mesa. Interment will follow at the City of Mesa Cemetery, 1212 N. Center Street, Mesa.